Show love to Bardi Gang in style with the black 'Bardi Gang Crop Top'. 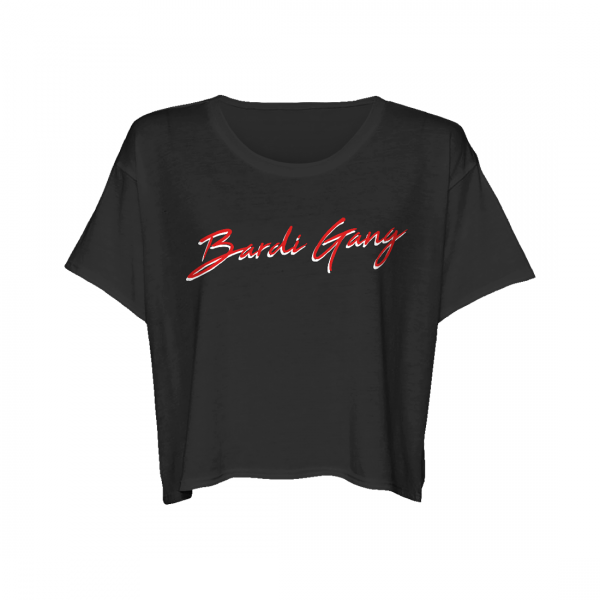 This black Juniors flows fit crop top features 'Bardi Gang' printed in a red script with a white drop shadow. Cotton blend, loose fit.